These lenses reduce glare, allowing for clearer vision with less strain, and are a must for anyone who spends time outdoors. 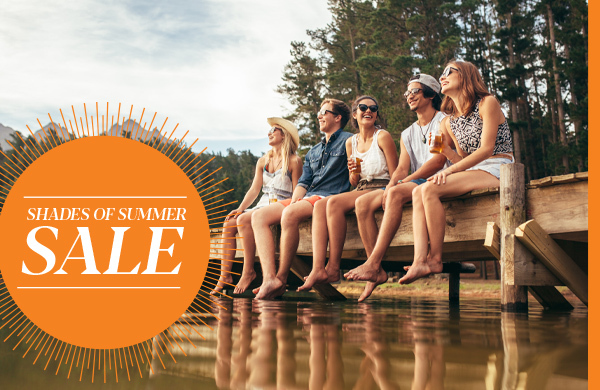 Save 25%-50% on Polarized Sunglasses* with the purchase of prescription sunglass lenses and frames. Valid for a limited time, in-clinic only. *Discount applies to prescription sunglasses with polarized lenses only and A/R coating. Excludes Oakley and Maui Jim. Some restrictions apply, offer valid in-clinic only until June 30, 2019. Cannot be combined with any other offer. Doctors of Optometry. 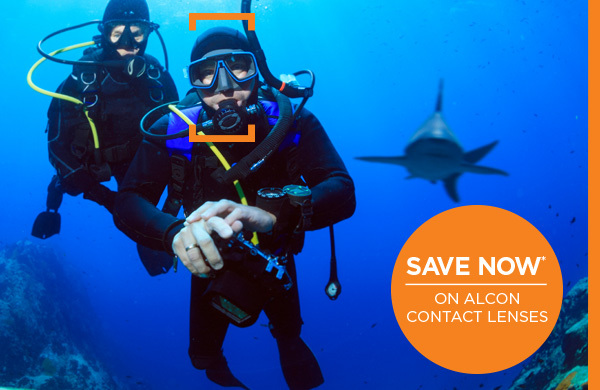 Save $100 instantly on an annual supply or $40 instantly on a 6 month supply of DAILIES TOTAL1® or DAILIES AQUACOMFORT™ PLUS contact lenses. Save $40 instantly on an annual supply of AIR OPTIX® contact lenses. *Cannot be combined with any other offer. Valid in-store only from February 15 - May 15, 2019. Doctors of Optometry. At participating FYidoctors, when you refer a new patient to your clinic, we'll give you a $25 coupon to put towards your next purchase of eyewear. Plus, each new patient that you send to your clinic ALSO benefits! They will receive a $25 coupon when they book a full eye exam, to put towards their first purchase of eyewear and continue benefiting when they refer new patients. It's a great way to get new eyewear and help your friends and family with all of their vision care needs. 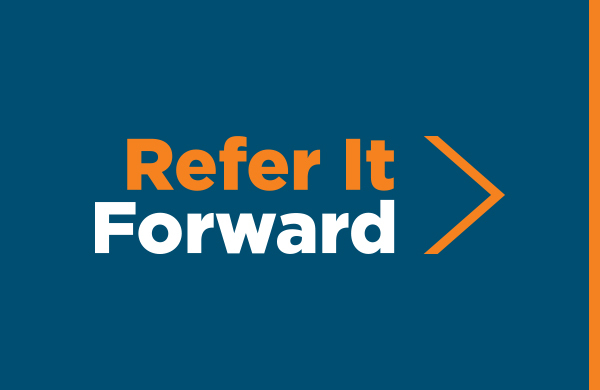 *Refer It Forward Program is not applicable to our Ontario locations and can vary in Quebec. See in-store for details. Stop by any participating FYidoctors location to learn more about our Refer It Forward program or to book a complete eye exam. A native of Fredericton, Dr. Debra Currie has been an optometrist since 1992 when she graduated from the University of Waterloo School of Optometry. 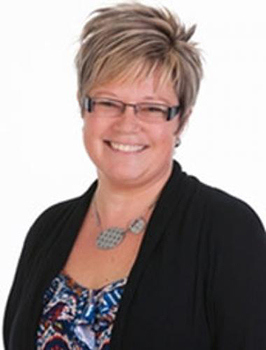 She began practicing in Lower Sackville in 1998 after spending time in private practice in Nova Scotia and New Brunswick and working for a year as a clinical tutor at the University of Auckland in New Zealand. Dr. Currie loves getting to know her patients and their families while providing eye exams in a friendly and open environment. She is particularly interested in the fast-growing field of myopia control in children and the ever-changing research in the field of glaucoma diagnosis and treatment. 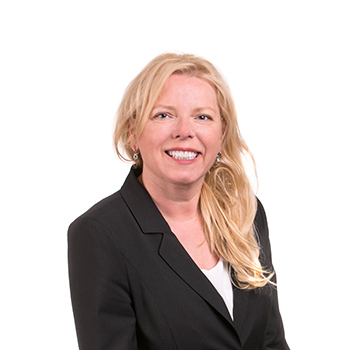 Over the years, Dr. Currie has served on several committees for the Nova Scotia Association of Optometrists including as a Council member, Chair of the AGM Committee and a member of the Continuing Education Committee. She is currently a member of the Community Outreach Committee as well as the Practice Enhancement Committee. She and her husband Paul live in Dartmouth with their teenaged sons, Malcolm and Charlie, and their dog Tilly. She spends her spare time reading, gardening and baking for her friends and family and loves to travel whenever she can. Dr. Paula Gaudet has a comprehensive science background with a Bachelor of Science majoring in biology and a Doctor of Optometry degree. She's been enjoying her work in family practice eye care since 1993. Dr. Gaudet's strength is in customizing both prescription and lens design for each patient's unique lifestyle. Understanding the person attached to each set of eyes adds tremendous value for each patient to fully enjoy all aspects of his or her life. Asked what advice she'd give people with regard to their health, Dr Gaudet says "Trust your instincts. If something changes quickly or feels wrong, it's wrong until proven otherwise. Standard recall visits and insurance policies are useful but they don't take care of you. That's my job. Please feel welcome to come any time you have a concern and we'll talk about it." Dr. Gaudet has served as President and Counselor for the Nova Scotia Association of Optometrists She continues to chair a committee focused on high quality eye care standards. She and her husband Erick live in Hammonds Plains together with their son Hunter, and their 2 golden retrievers, Rooky and Rossi She enjoys cultural travel and cooking and can often be found towing the neighbourhood kids around the lake. 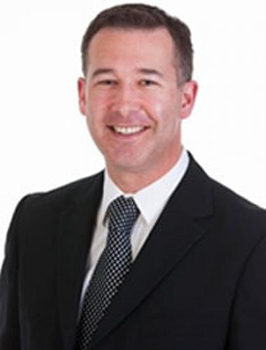 Before earning his Doctor of Optometry degree from the University of Waterloo in 1997, Dr. Baird graduated from Dalhousie University in 1992 with a Bachelor of Science (Advanced Major in Biology). During his final year of Optometry school, Dr. Baird trained for four months at the Houston Eye Associates in Houston, Texas. This was a clinical internship with a large emphasis on the therapeutic treatment of eye infection and disease. Soon after graduating from Optometry, Dr. Baird opened a clinic outside of Saint John, NB. He practiced there for 2 years before joining Doctors Eye Clinic in 1999. He became a full partner in 2000 and works in the Scotia Square and Lower Sackville office locations. During his final year of Optometry school, Dr. Baird volunteered his time in rural Dominican Republic to provide eye examinations and fit people for glasses. This was a very rewarding experience to be able to help those less fortunate in underdeveloped countries. Dr. Baird is a member in good standing with both the Nova Scotia Association of Optometrists (NSAO) and the Canadian Association of Optometrists (CAO). 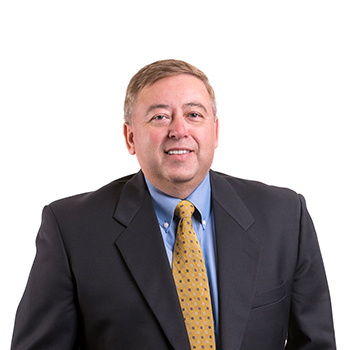 During his free time, Dr. Baird loves to travel, play hockey and golf. He also enjoys downhill skiing and spending time with his family. Dr. Scott, originally from Gander, Newfoundland Labrador, completed a Bachelor of Science (Honours) from Mount Allison University in Biology with a minor in Physics in 2002. She then completed the Doctor of Optometry program from the University of Waterloo in 2006, where she was awarded the Dr. Margaret Hansen desGroseilliers Leadership Award. As part of her training, she completed an internship in ocular pathology and therapeutics at Barnet Dulaney Perkins Eye Center in Mesa, Arizona. Dr Scott first became a member of the Doctors Eye Clinic team as an intern in 2005. She then returned as a practicing optometrist in the fall of 2006 and is currently working at the Spring Garden and Lower Sackville locations. While in school, Dr. Scott was the president of the Canadian Association of Optometry Students (CAOS), as well as optometry's representative in the National Association of Health Science Students. Additionally, she spent a week in Guatemala doing eye exams and dispensing donated glasses. 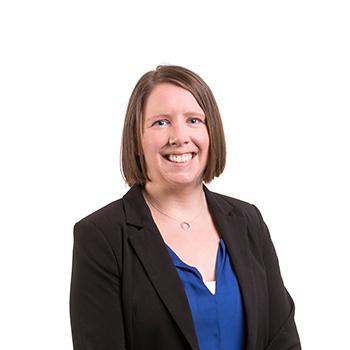 She is currently a member of the Nova Scotia Association of Optometrists and serves as Secretary-Treasurer and co-chair of the continuing education committee. Dr. Scott is also an active member within the Serving Seniors Alliance and Smoke-Free Nova Scotia and has sat on the board of directors for both organizations. Dr. Scott married her husband, Jason, in August 2011. They enjoy travelling together as much as possible. Dr. Scott is a figure skating judge and evaluator, and also enjoys reading, scrapbooking, running, curling and ultimate frisbee in her free time. Dr. Alphonse Carew graduated with a Doctor of Optometry, along with a Bachelor of Science degree from the University of Waterloo in 1986. Upon graduation, he was awarded the Essilor Award for Clinical Excellence and the Bausch and Lomb Outstanding Achievement Award. In 1996 he received an MBA degree from Saint Mary's University. Dr. Carew started practicing in Halifax in 1986 as an associate, a short time later in 1987 he started his own practice. It didn't take long for his practice to grow to its present size with 8 doctors and three locations. He now divides his clinical time evenly between Halifax and Lower Sackville. Dr. Carew also consults with optometrists all across Canada to evaluate their practices and help them perform better. He has lectured on the topic of Practice Management on the North American Optometry circuit and has written extensively for the Canadian Journal of Optometry. For his work with the intern program at the School of Optometry, University of Waterloo he was named an Adjunct Faculty Member of the University of Waterloo. Dr. Carew is a past-president of the Canadian Association of Optometrists (CAO) from 1997 To 1999. He has served as a council member for both the CAO and the Nova Scotia Association of Optometrists (NSAO). From time to time he is still called upon to lend a hand when issues arise within optometry. When time allows he enjoys time with his family, travel and golf. 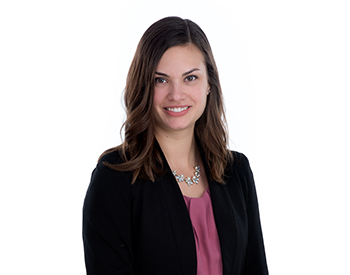 Dr. Sarah Thomson is originally from Truro, Nova Scotia, and graduated from St. Francis Xavier University with a Bachelor of Science with an advanced major in Chemistry. She then went on to receive her Doctorate of Optometry from the New England College of Optometry in Boston, MA. During her final year of training, Dr. Thomson completed two externships in ocular disease at the University of Maryland Ophthalmology Clinic and the Veterans Affairs Hospital in Manchester, New Hampshire. She also completed an externship in Miami, Florida focused on contact lenses, and a primary care externship at the East Boston Community Health Center. Following graduation Dr. Thomson practiced for a year in Calgary, AB before moving back home to Nova Scotia and joining the FYidoctors Halifax team. Dr. Thomson is accepting new patients of all ages for comprehensive eye exams, medical eye care, and contact lens examinations. She has a special interest in ocular disease treatment, dry eye management, and pediatric care. Dr. Thomson is a member of the Nova Scotia Association of Optometrists as well as the Canadian Association of Optometrists. During her spare time, Dr. Thomson enjoys hiking, biking, cooking, and spending time with family, friends and her Goldendoodle, Charlie.